Canoe Marathon is an accessible, inclusive sport suitable for all ages and ability levels. At beginner level it’s a great way just to get out on the river and have some low impact exercise in a friendly, relaxed environment. At more advanced levels it’s a physically and mentally challenging sport, requiring high levels of fitness, technique and stamina. At Viking our current group of Club paddlers is spread across a wide ability and age range which reflects the sport in general. We have an all-ability training session on Sunday mornings which is usually run by a British Canoeing qualified coach. Typical activities on the water might include starts and sprints, turns, race techniques, portaging practice, distance-building paddles, etc. Off the water we can use the Club’s ergo machines to develop good paddling technique and build stamina. The Club has a range of boats suitable for paddlers new to racing and improvers, and some equipment specifically designed for younger paddlers. Marathon boats are designed for speed: long, thin and more unstable than normal kayaks so you may find them a bit wobbly at first but with some coaching and practice you will soon begin to progress. Viking Club members compete regularly in the Hasler series events (between 7k and 20k distances depending on ability) in locations such as Norwich, Leighton Buzzard, Cambridge, Lincoln and Bishop’s Stortford. The Club also hosts its own Hasler event – the Bedford Canoe Marathon, which has been running since the 1950s. Some of our paddlers also compete in the Waterside series of races (various distances from 22k to 55k) and the famous Devizes to Westminster 24hour race (201k). Whether you’re an experienced paddler looking for a new club, or you paddle for fun and just want to try something different, you’ll find us friendly and inclusive. Please contact us in advance if you would like to join one of our training sessions so we can ensure that the appropriate coaching and equipment is available. Canoe Sprint competitions are carried out over much shorter set distances which are normally 200m, 500m & 1000m. 5000m races are also contested at National regattas. Boats used are K1, K2 and K4 (these being 1, 2 and 4 man kayaks respectively using double paddles) and C1 and C2 (using single-bladed paddles). National sprint competitions are held regularly during the year; these are a good way to give an indication of performance against others of similar ability. The Club is not currently running any regular sprint training sessions, however our Marathon Racing sessions (see above) often include sprint training and technique which would be a good way to start developing the skills needed for this discipline. Please contact racing@vikingkayak.co.uk for more details. 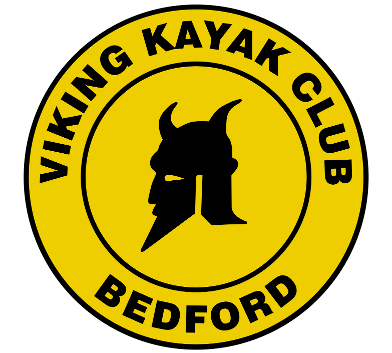 Courses situated on the River Great Ouse in Bedford on a 4.3 km circuit. Races to suit Elite, Intermediate, Novice and Lightning divisions.